A new merger is announced between Microsoft and Rolls Royce for discovering next generation “intelligent engines” in the aviation industry. Cortana Intelligence Suite and Microsoft Azure IoT Suite will integrate with Rolls-Royce into its service solutions for expanding its digital capabilities, specifically around its Totalcare service offering, in order to enhance the lifespan of its asset for customers. The tie-up builds on underlying trends within the manufacturing industry in moving from a proactive to reactive maintenance and repair model. Tom Palmer, SVP of Services and Civil Aerospace at Rolls-Royce stated that their customers are looking for ways to leverage the digital landscape to increase efficiency and improve their operations. And by working with Microsoft we can really transform our digital services, supporting customer’s right across engine-related aircraft operations to make a real difference to performance. In Germany, at the Hannover Messe event, both Rolls Royce and Microsoft will demonstrate the new capabilities, including Cortana Intelligence Suite to analyze the data itself and Azure IoT Suite to collect and aggregate data from distributed sources. Aiming towards an increase in assets fuel efficiency, detecting anomalies and ongoing trends, data sets will include route restrictions, air traffic control information, fuel usage data and engine health data. 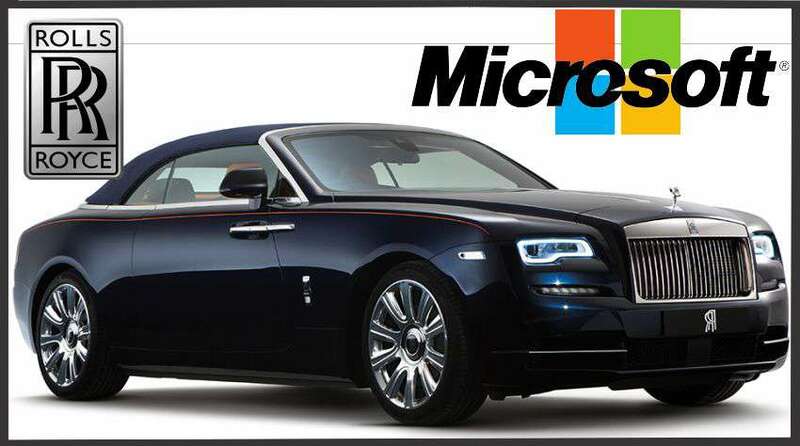 “Rolls-Royce has always been a pioneer in engine services, and this collaboration will create a new digital engine for Rolls-Royce to deliver more sophisticated r service to its customers across world-class engine fleet through Microsoft Azure,” said Jason Zander, Corporate VP of Azure at Microsoft. At the event, Microsoft also declared that they are working with the OPC Foundation in order to ensure industry that IoT scenarios are flexible within OPC Unified Architecture (UA) standard.